Operation Bundle-Up collects donations of no-longer-needed winter outerwear in Yarmouth, Maine, then inspects, cleans, and sorts the items before making them available to local residents who need them. Many items are distributed through the Yarmouth Community Food Pantry during the holidays and as part of Project Holiday, as well as through Yarmouth Community Services. If you are in need of winter outerwear (coats, hats, mittens) for yourself or your family, Operation Bundle-Up can help! 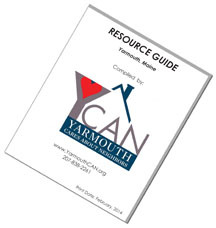 You may visit Yarmouth Community Services or call YCAN at 207-838-2261 to learn more about this program.